Lenox New York is a combination of villages and rural life. The Erie Canal, the shores of Oneida Lake and picturesque countryside are all part of the Town of Lenox. Always friendly and hard working people are here to help if you have any questions, need information and help you find places to visit. 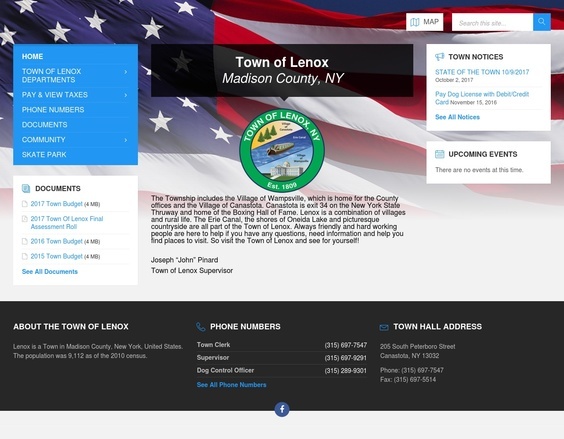 So visit the Town of Lenox and see for yourself!